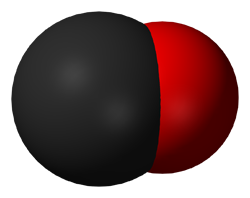 Carbon monoxide poisoning is a substantial danger to people throughout the world. It is the leading cause of deaths due to poisoning. This invisible killer has a presence in every home due to the prevalence of combustion products and their potential for failure or misuse. Some of the common sources of carbon monoxide poisoning are unvented space or kerosene heaters, furnaces, water heaters, gas stoves, fireplaces, woodstoves, blocked chimneys and emissions from vehicles left running in attached garages. In almost all cases, proper maintenance of these devices and care in providing adequate air flow and ventilation can avert tragedy. Defects and improper installation or maintenance of combustion products can cause long term health problems or death. Click Here for the EPA’s suggested precautions for reducing exposure to combustion products in the home. Education and awareness about the dangers of carbon monoxide poisoning are vital. The Partnership for Clean Indoor Air estimates that 2 billion people worldwide are at risk and that 1.6 million premature deaths occur worldwide yearly, mainly among women and children, due to the use of biomass fuels indoors for heating and cooking. In addition to taking precautions in respect to combustion products in our homes, we can also further insure our safety by creating good airflow and proper ventilation. Carbon monoxide detectors are cheaply and readily available for installation. Some states, such as Massachusetts, have enacted legislation requiring carbon monoxide detectors in addition to smoke detectors. Once aware of the dangers of carbon monoxide, we can practice due care in our own homes and take the necessary steps to safeguard ourselves and our families from this invisible danger. But what happens when we relinquish this responsibility to someone else? Most of us have stayed in a hotel, motel or some sort of public or private facility outside the scope of our own due care. We assume that such facilities, if anything, have a greater responsibility to address safety issues or potential health risks due to the public nature and an implied responsibility to those in their care. We also assume that the combustion devices in our homes are properly designed and that the people who install these devices do so with proper care. We may also be exposed to dangerous levels of carbon monoxide in defective vehicles including cars, boats, small aircraft, and recreational vehicles. The effects of carbon monoxide are cumulative and may reach dangerous levels without warning. A public responsibility embodies the concept of liability when due care is not exercised. In these pages we intend to address the issues of liability, the mechanisms and affects of carbon monoxide poisoning and the longterm damage which may occur due to exposure to incorrectly managed combustion products.